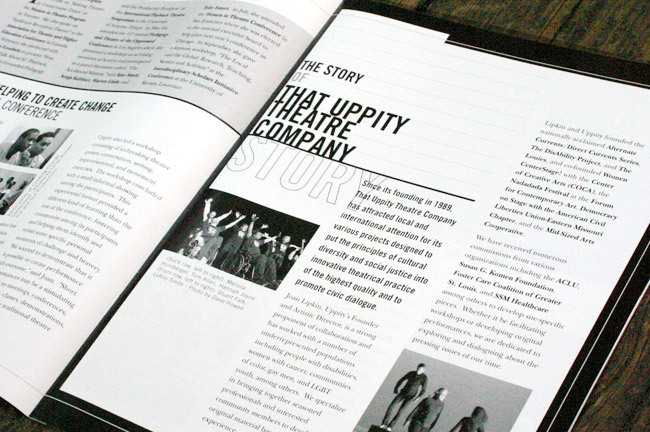 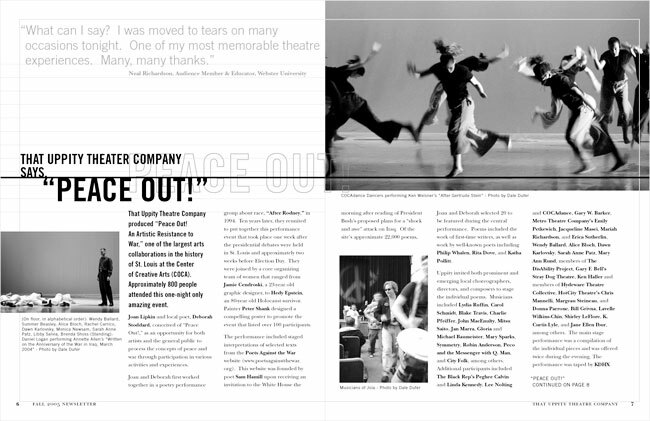 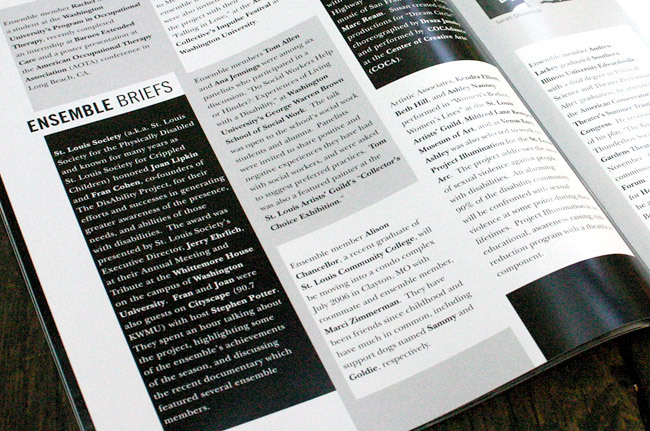 Newsletter design for That Uppity Theatre Company in St. Louis, Missouri, "producing work designed to put the principles of cultural diversity and social justice into innovative theatrical practice." 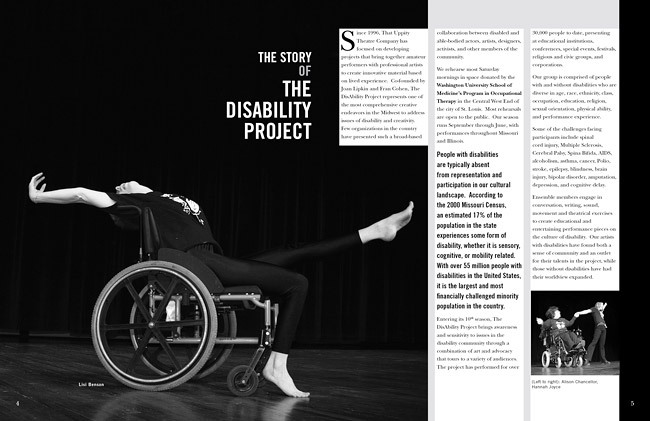 That Uppity Theatre Company's The DisAbility Project empowers individuals, fosters community, and enhances public awareness about disability through innovative theatre. 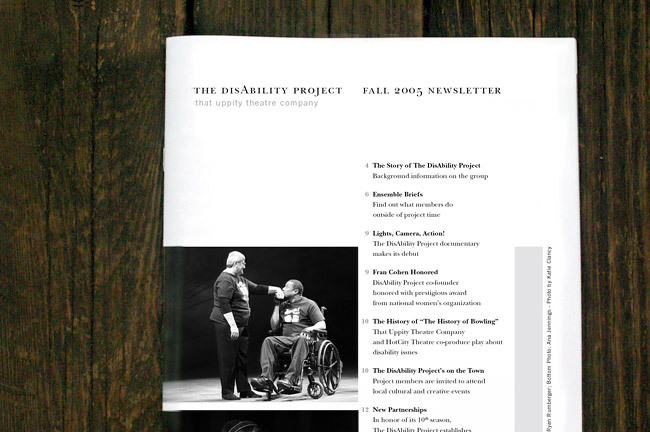 The DisAbility Project newsletter summarizes their projects in 2005.